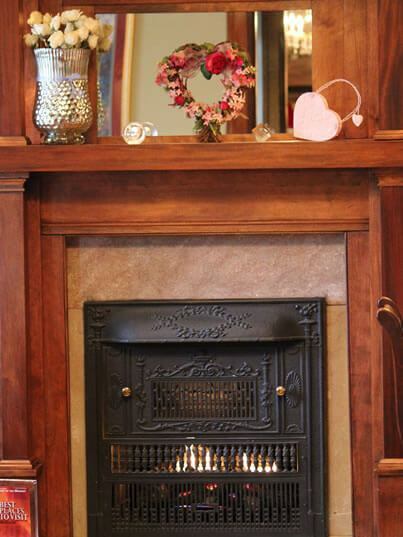 Our luxury bed and breakfast, set in the grandeur of a 19th century mansion in one of St. Louis, Missouri’s grand, historic districts, is waiting to host your Missouri getaway. Once you enjoy a stay in this magnificent inn, you’ll understand why Tripadvisor.com users have rated The Fleur-de-Lys Mansion as one of the top destinations in the city. Each of our four spacious guest rooms has a character of its own. Take a moment to tour the inn and explore the rooms and amenities, which include gourmet breakfast each morning, a relaxing spa room, and our idyllic backyard garden. At The Fleur-de-Lys Mansion, you’ll find the perfect marriage of contemporary comfort and timeless elegance. And speaking of marriage, The Fleur-de-Lys Mansion is not only the destination of choice for an unforgettable honeymoon, we’re also ideally equipped to handle your small wedding or other social or business event with uncompromising style and grace. 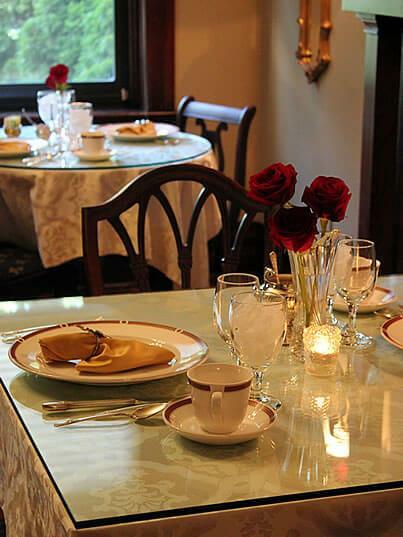 Whether you’re after that perfect romantic getaway, or looking for an elegant alternative to chain hotels when traveling for business, The Fleur-de-Lys Mansion offers award-winning accommodations to make your stay truly memorable. Plus, we have a selection of special packages to make your time with us an experience to remember! How about rounding out your stay with us and adding an especially memorable touch? Enjoy a relaxing Swedish massage or snuggle up together in a horse-drawn carriage on a tour of nearby Tower Grove Park. Just click the Enhance Your Stay tab near the top of the page when booking your room. You won’t regret it!